There are many things to see in Rome and so many visitors from all over the world wandering through the tiny little streets or go in “herds” around the big tourist attractions. At every corner you can buy souvenirs, cards, posters of every shape and colour at little stands or tiny shop around the sites. Of course sometimes there is something cute to find but the sad thing about these souvenirs is that 99% is made in the far East. 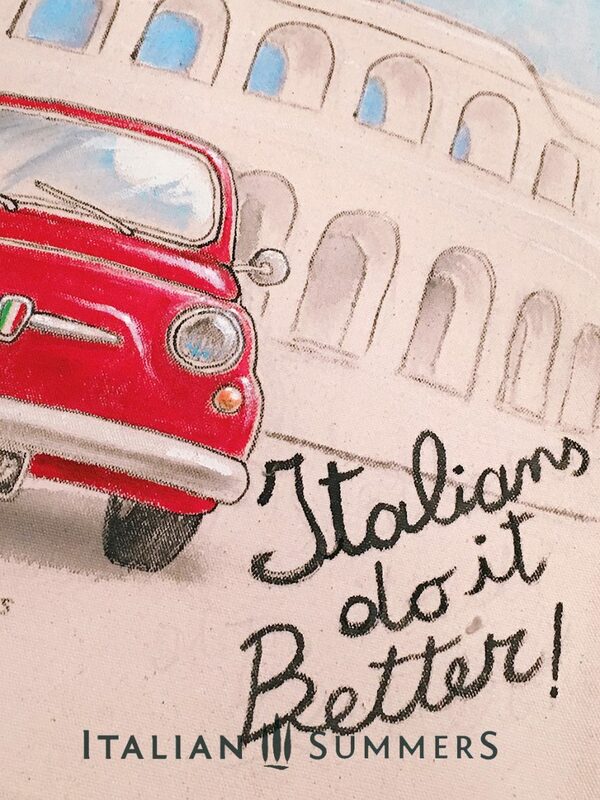 Not Italian at all and often are of bad quality. Here is something totally authentic for you! This design, the Cinquecento is inspired by our own photo which we shot in the little streets behind our house. 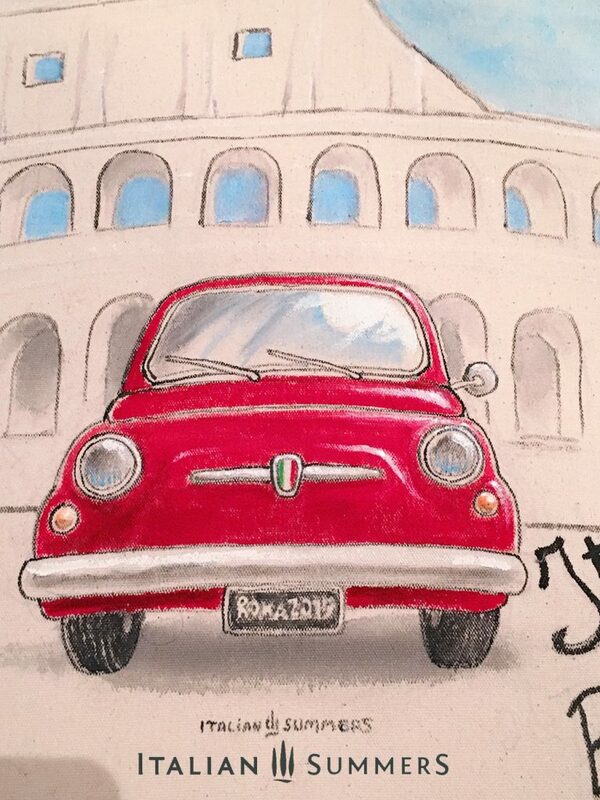 Two Italian Icons on a bag, the Colosseum and a vintage Fiat 500. Handpainted in Italy. We customize the bags on request with a MONOGRAM or NAME. 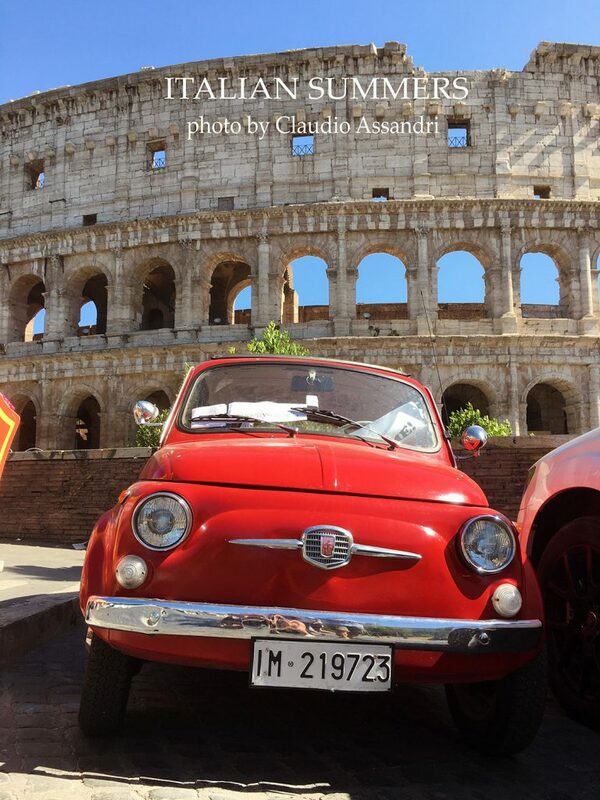 Perfect gift for yourself or any other lover of a Roman Holiday. In this way you will always have you own unique memory of Italy or a very special gift for someone else. *Note: This tote bag is a unique handpainted item, no two bags are the same. There will be natural small differences as the Artist replicates the theme.